Occasionally we like to shake up breakfast, give it a good poke and pause for thought. 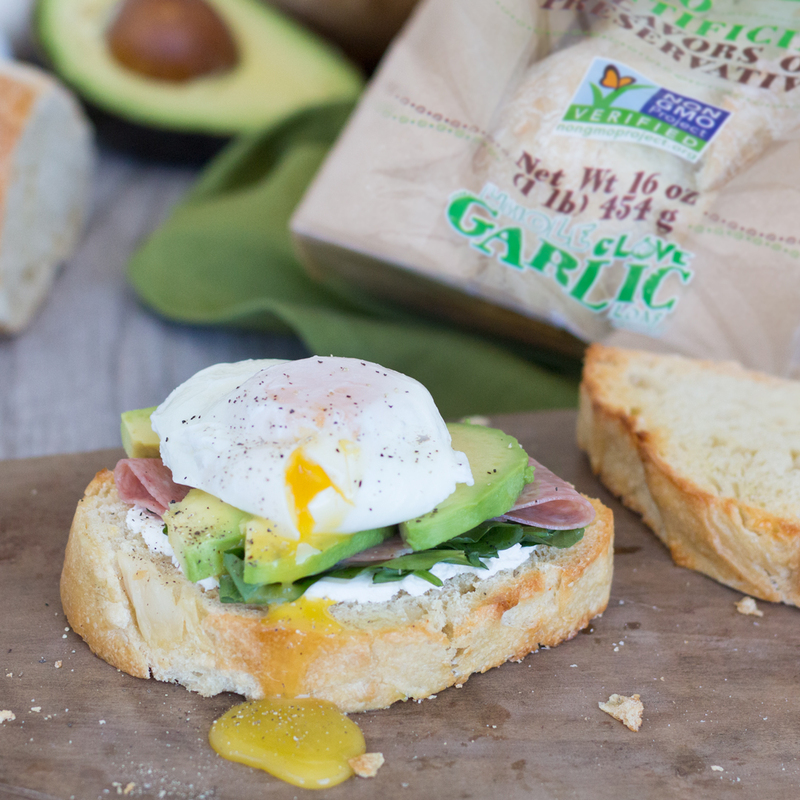 It’ll make sense once you’ve bitten into our very latest culinary crescendo, the Poached Egg with Brie, Watercress, Salami and Avocado melt that tastes twice as yummy on our Whole Clove Garlic Loaf. If you’re feeling especially high falutin’ you can substitute pricey prosciutto instead of salami. This little sensorial gem is beautiful to look at, will fill the air with the aroma-rific excellence and force breakfast to pull out of the soggy-corn-flakesand- jam rut it’s been in for years. Wake up breakfast… Grace Baking is here! Poach the egg. Place about four inches of water in a pot and bring to gentle simmer. Add the vinegar. Carefully break egg into the simmering water and cook for 2½ to 3 minutes. Remove egg with a slotted spoon and rest on a warm plate. Spread Goat cheese on toasted bread. Top with watercress, salami, avocado and poached egg. Garnish with freshly ground black pepper, to taste.